Final Judgments of Divorce entered on and after January 1, 2019 will be subject to new law concerning the taxability and deductibility of alimony. Under the current state of the law, alimony is taxable to the person receiving the payment and deductible for tax purposes by the person paying. Commencing on January 1, 2019 federal tax law has changed. Final Judgments thereafter are significantly different in taxability. 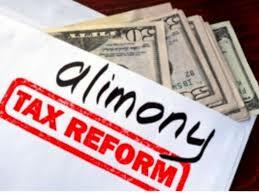 Alimony will be non-taxable to the recipient and non-deductible by the payor. Effective January 1, 2019, the prior system will change. Spousal support will no longer be tax deductible for the payor, and the recipient spouse will no longer have to pay taxes on his or her payments. As a result of these major marital law changes, it is a wise idea to seek the guidance of a knowledge divorce attorney before coming to any agreement.